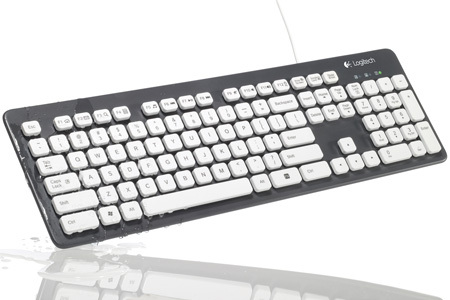 Innovative computer keyboard designed by Logitech can be washed and cleaned right under a running water faucet. 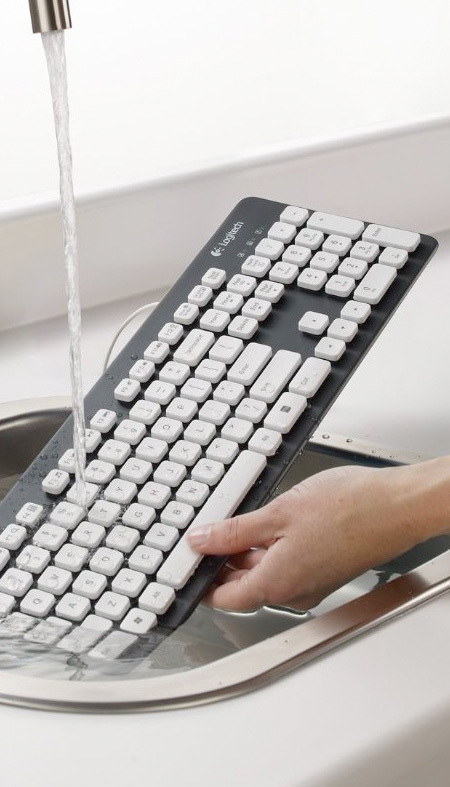 K310 Washable Keyboard can be completely submerged in up to 30 cm (11 inches) of water. Waterproof keys are laser printed and UV coated for extra durability. actually pretty awesome idea. Keyboards get extremely dirty, especially apples pure white ones. speaking of white, the keys are white here too, like they’re just tempting you to drop it in water! I have ran my Logitech 110 through the dishwasher before, and left it to dry for 6 days and it’s worked fine after. I am guessing this one needs no drying time? Perfect for anyone with kids. just don’t eat and fap on your keyboard and you’ll never need to wash it anyway. Awesome! I could use it at work!!! When I was a journalist I ate at my desk all the time and could have really used a washable keyboard. I could also see elementary schools finding this useful. Pretty good idea. Keyboards are among the dirtiest things you touch in a day. Whether or not you spill coffee on it, your keyboard is full of dead skin, finger grease, and bacteria. Can it be spin-dried, dry-cleaned, and ironed as well?